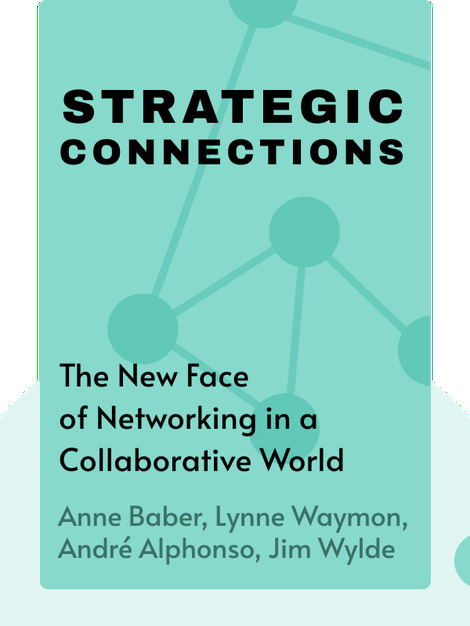 Strategic Connections (2015) offers practical tips on developing the skills to become an effective networker. In an increasingly connected world, networking has never been more important. Find out which skills and knowledge you need to succeed in the new collaborative workplace. 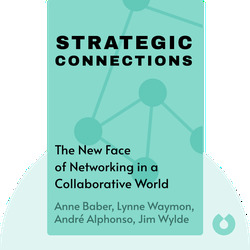 Anne Baber, Lynne Waymon, André Alphonso and Jim Wylde are collaborators at Contacts Count LLC, an international training and consulting firm that has specialized in business networking for 24 years. Baber and Waymon co-founded the firm 24 years ago, and have, among other networking books co-authored bestselling book: Make Your Contacts Count: Networking Know-How for Business and Career Success. Their high-profile clients have included eBay, Lockheed Martin and KPMG.